It's been a busy month for January and this February it's Chinese New Year. It's Chinese New Year and we are going back to hometown soon. Are you celebrating Chinese New Year? With Internet access today I am glad that I can online shopping for groceries and things that I need. Busy parenting didn't stop me from shopping for Chinese New Year shopping list. What of the item must have in the list is the Red Dress or Red Top/Blouse. It's a must to wear Red for 1st day of Chinese New Year. Just sharing with you do you know that Mandarin Oranges are important for Chinese New Year? Mandarin Oranges are considered as traditional symbols of abundance, wealth and good fortune.Taking about Chinese New Year, most of my friends will be thinking what to cook for this Chinese New Year, I am happy to share with my friends that we can check online at 11Street for the Cooking Up Prosperity. 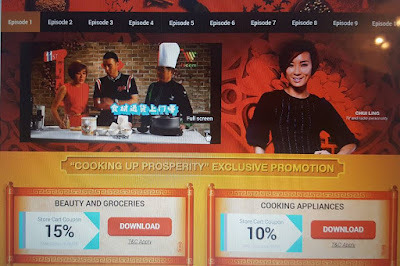 There is episode 1 to episode 10 of the Cooking Up Prosperity, do click on download the beauty & groceries to get store cart coupon 15%. T&C apply. The cooking episode speaks in Cantonese language, but there's subtitle of English that you can view if you didn't understand Cantonese language. 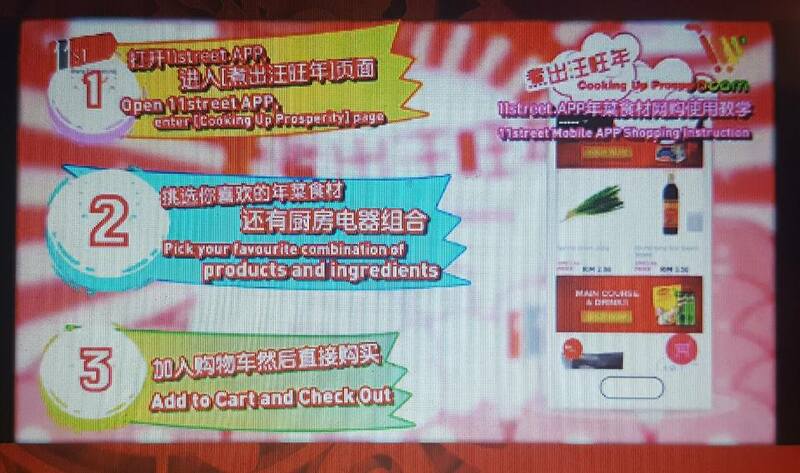 Each CNY dish has got the ingredients selling in 11Street, suitable for busy parents to shop online. 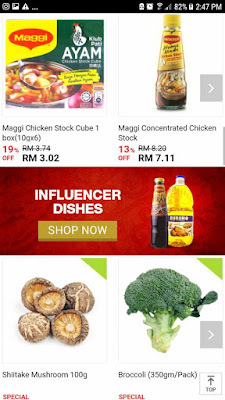 Sometimes we didn't know what to cook, it's good to have Internet access as we can shop online for groceries of fresh food and dry products. Most people are having a smart phone today, besides that if we didn't have one we can use gadgets to go online and visit the website of 11Street. Pick your favourite combination of products and ingredients from there and lastly add to cart and check out. My sister-in-law and me always discuss about what to cook, happy to share with her about these episode of cooking CNY that we can find online. From Episode 3 of Cooking Up Prosperity this CNY, there's seaweed fish ball soup. 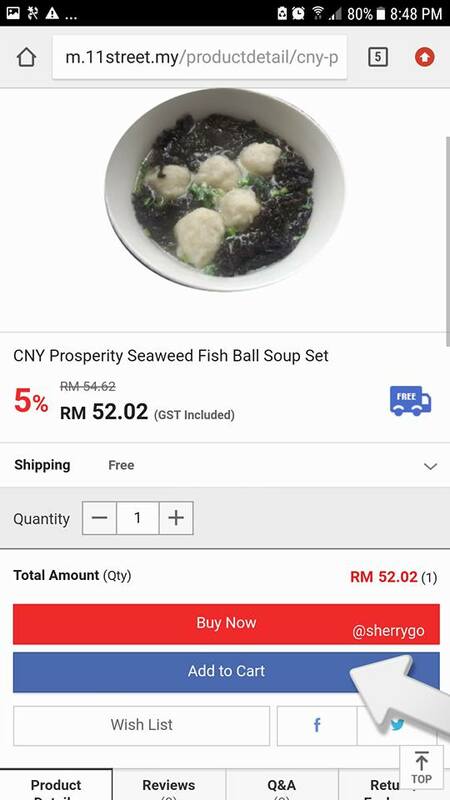 The ingredients are red onion, fish ball, tomato, seaweed, garlic oil and pepper. 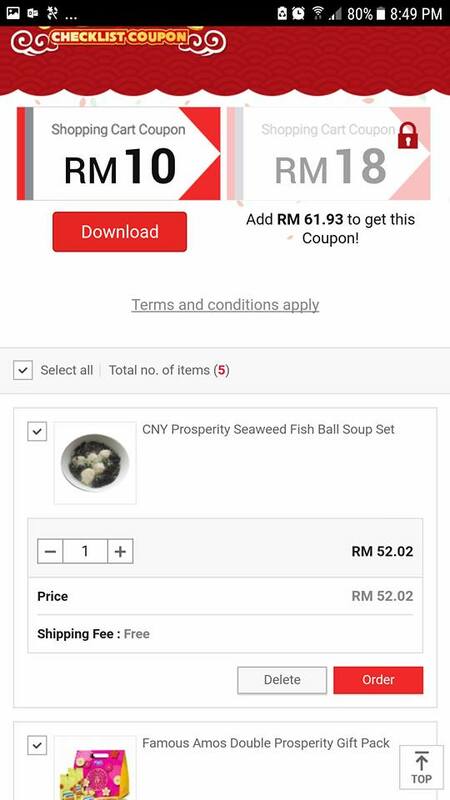 You can just click on CNY Prosperity Seaweed Fish Ball Soup Set, then add to cart the selected item. 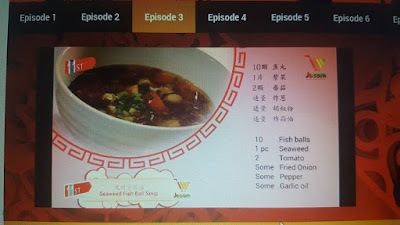 These look yummy good to drink soup that we can enjoy, going to check out again on the video again to see on how to cook guide. The CNY Prosperity Seaweed Fish Ball Soup Set RM52.02 (GST included) with Free Shipping. 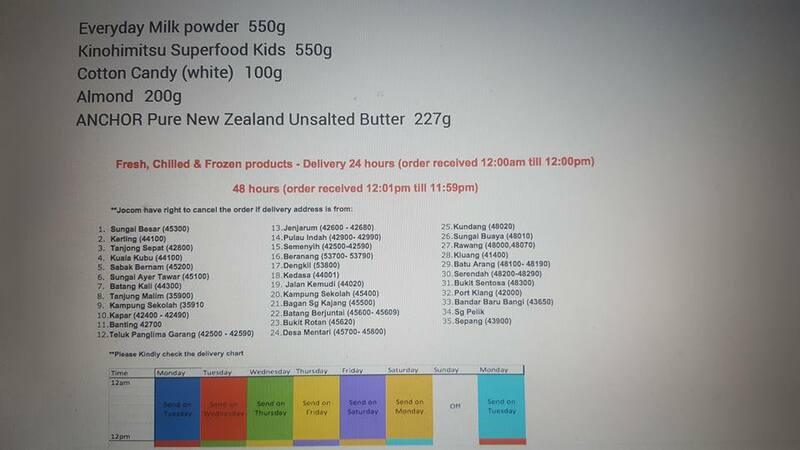 48 hours (order received 12:01pm till 11.59pm). There's list of delivery address that you can check in the chart below of the order, Jocom have right to cancel the order if delivery address is from the area mentions. 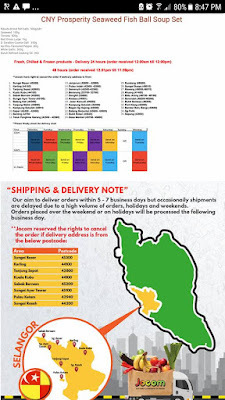 Do check out the shipping & delivery note and the delivery chart before ordering. In the shopping cart, it will showed the shopping cart coupon of how much has get and how much more to get the coupon. 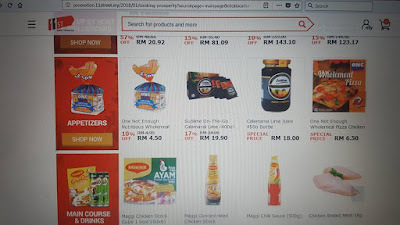 With Internet access today, glad to find this online grocery shopping with you. 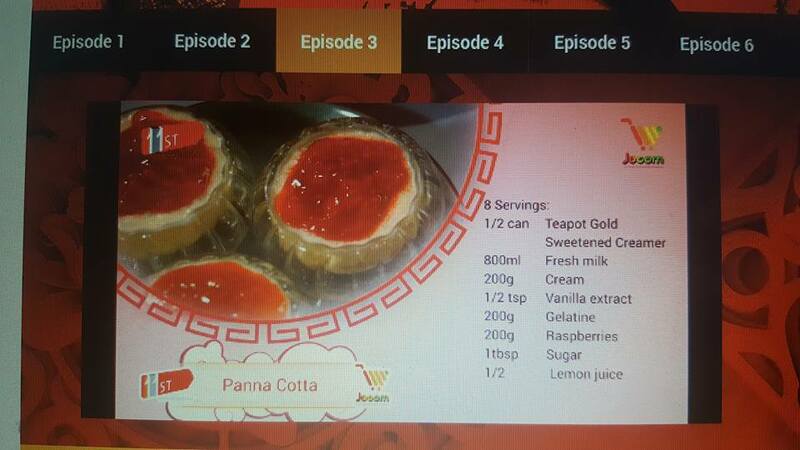 The Panna Cotta at Episode 3, looks so yummy. Do view their episode to find out. 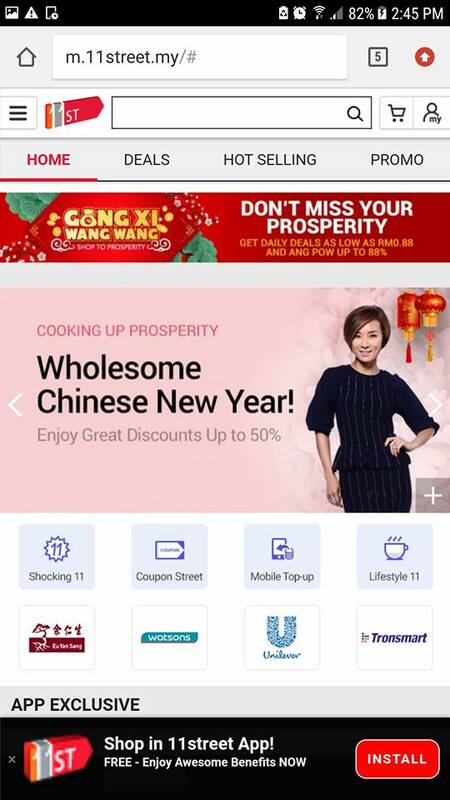 From main course, soup to desserts we can find at Cooking Up Prosperity this CNY. This Chinese New Year just few weeks away, there will be family and friend gathering and eating together. 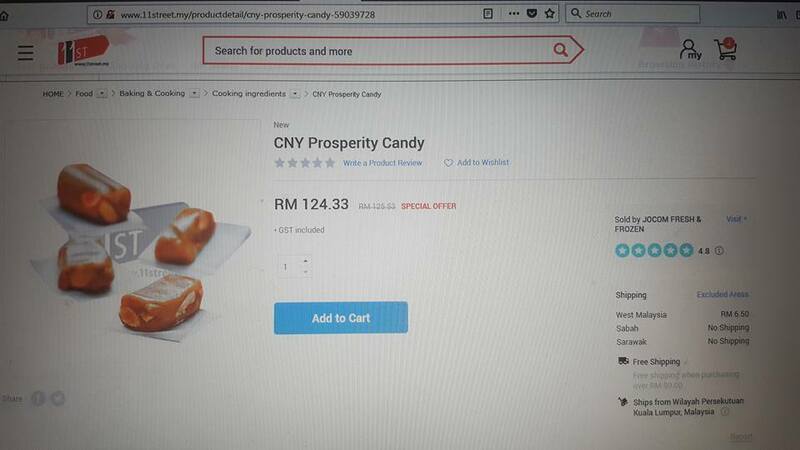 Serving drinks and snacks, check out these CNY Prosperity Candy looks yummy and recipe available at episode 1 for step by step cooking. Now you know where to shop for grocery. Fresh, Chilled & Frozen meat available too. 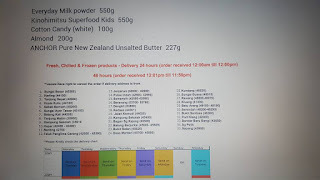 Do check out the website for the delivery services. 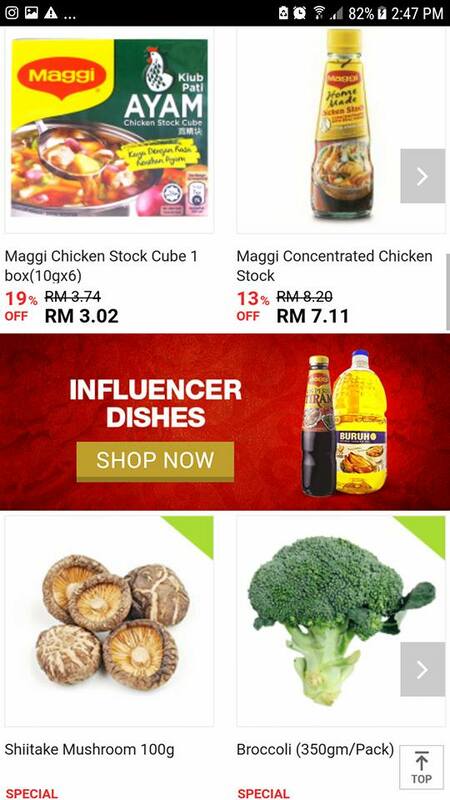 If you are planning to shop grocery online, do visit to 11Street. This Chinese New Year, don't know what to cook? No worry, with Internet access now we know check out the 11Street to see the Cooking Up Prosperity with beautiful TV host Chui Ling.